It's the first day of July, and also the start of the Ramadan month! I've always admired the resilience and faithfulness that Muslim have when they are fasting. Of course, the best part of fasting is the part where you break fast, right? :) Have you decided where to have your meal to break fast tonight? 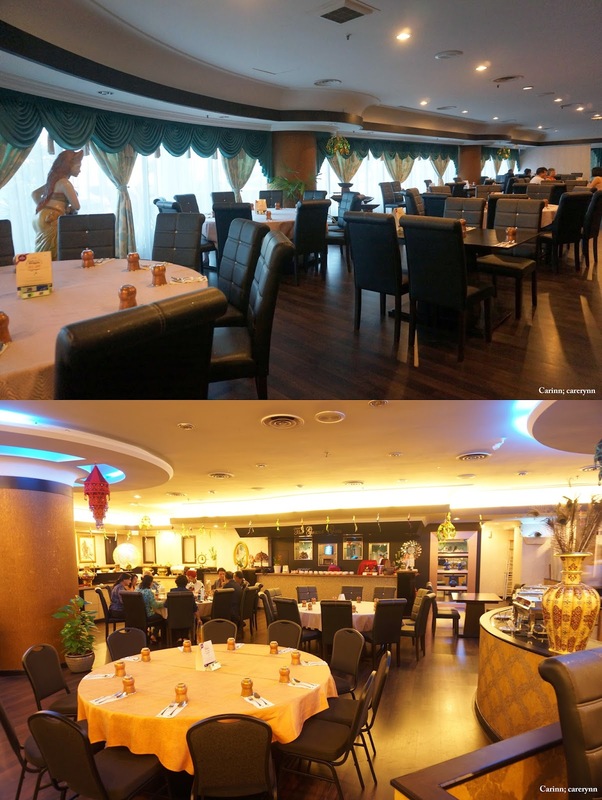 My suggestion would be The Grand Gem Restaurant at Grand Blue Wave Hotel, JB. It's been awhile since my last food review, waaayyy too long that I'm getting rusty, but I shall try my best and describe the food to you! 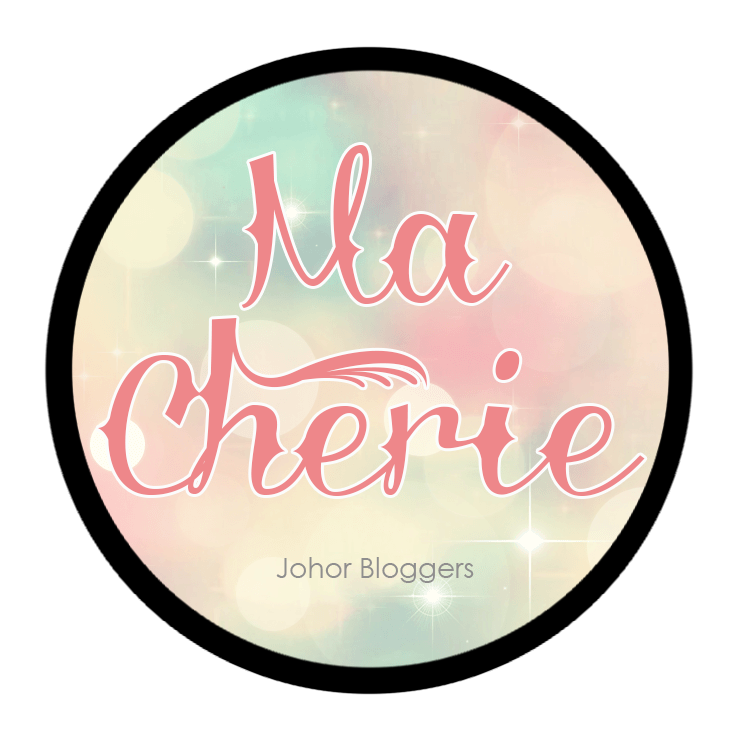 Hopefully it'll make you drool :p Thank you Tony Johor Kaki for extending the invitation to the Ma Cherie girls and Peggy Loh of My Johor Stories! Peggy is also a journalist of NST, it was such an honour to meet her and Tony! The Grand Gem Restaurant Sdn Bhd is a premium signature outlet at The Grand BlueWave Hotel in Johor Bahru that has been in operation for the past 17 years. We were told by the restaurant manager, Mr Thiaga that the GEM Group has 4 Indian restaurantd in Kuala Lumpur and this is their flagship outlet in Johor Bahru. They are a wholly Malaysian-owned company incorporated in 1996 and has been delighting taste buds with authentic Indian cuisine all these years, using th finest and freshest ingredients inspired by India's Grand Culinary Tradition. Ample seating spaces inside in a comfortable setting, with beautiful Indian decor. The Grand Gem is elegantly themed to create a warm and welcoming atmosphere. In conjunction with the upcoming Hari Raya, The Grand Gem will be having a one month Ramadan buffet dinner during the whole of July, with a wide variety of dishes prepared by chefs who come from different parts of India. Do note that there are 3 menus, hence they are rotated everyday to give customers more choices during different visits. We had the chance to savour the recommended items on each menu that night. My love for Indian cuisine was influenced by my dad. I love Indian food, and I love buffet. So awesome to have them both combined together! Let's start off with some drinks and appetizer, shall we? This is one of my must-have drinks whenever I have Indian food. This mango lassi is particularly yummy as you can taste the freshness and sweetness of the mango, with a little sprinkle of almond. For me, the key to a good lassi is that the Indian yoghurt doesn't overpower the mango so much so that I'll feel bloated simply by drinking it and I can tell you that this drink was enjoyable from start to end. I'm pretty sure you'll have to order the drink separately cos I don't think this is served buffet-style, so make sure you order it!! Watch out for this little green bowl of sauce here throughout the post, you'll see it often as pudina is a crucial ingredient when savouring Indian cuisine. This is a twist on the regular papaddam as it has masala or "salsa"-like dressing on top. Crispy and not too salty, even tastier when dipped in mint sauce! Basically, it's fried onion fritters. I dislike onions but this was too good to resist! You can taste the sweetness of the onion inside while savouring the crispiness of the batter outside in one mouthful. The batter is made up of a combination of curriander (another crucial Indian ingredient), chilli and other Indian spices. The best way to enjoy your pakoda is with your hands, of course! This little doughnut-shaped fritters are made of minced chicken meat, onion, curriander, and are booby-trapped with chilli padi! It'll shock your tastebuds when you bite into it. But still, it's a really yummy appetizer that I thoroughly enjoyed. One chicken, four kinds of marinate! We have here chicken marinated in mint, chestnut, tandoori-style and some spiced & minced chicken like Chinese "ngor hiang" that my grandma makes... The tandoori chicken is marinated in a pot of spices and then cooked in the tandoor oven to maintain its juiciness and flavour. Everything was so tasty and tender. You can "mix and match" and dip the chicken in mint sauce too to bring out the taste even more. Lovely dish! One Naan to rule them all... Hehehe. Soft yet crispy at the same time, best enjoyed when dipped in different curries! There's freshly-made plain and garlic one in here, but I usually prefer plain naan. Pan-fried lamb pieces coated in spices. Admittedly, it's a tad too salty but the lamb was tender without the "lamb" taste so I'll give it a pass! Don't be intimidated by the colour, it isn't too spicy and has a very nice fragrance. This was my favourite curry to eat with naan because of its creaminess. It is chicken curry cooked with an excess of coconut milk, which I love! Again, it was quite salty but oh-so-savoury. Love the aroma and texture! This is like your regular "Dhal" curry that you order at mamak stalls, except it's more flavourful and less spicy compared to the other two curries. It's perfect for those who don't quite fancy spicy food. The generous lamb slices in here are also very tender. Using only the best basmati rice, this Nasi Briyani was enjoyed by most of the girls. Each spoonful fills your mouth with fragrance and flavour. I like! It's "fusion" fried rice as it's not your regular nasi goreng, but instead fried with beras basmati or long rice. Also a flavourful dish packed with loads of anchovies, I would've taken more of this if I wasn't so full already.. This might just be the only vegetarian dish we tasted that night.. It's a simple dish but I did enjoy it after all the spiced food. There is a little twist to this dish with the added cheese slices and cashew nuts! Yes, cheese! Using only freshly-squeezed green apples. Naturally sweet and super refreshing! 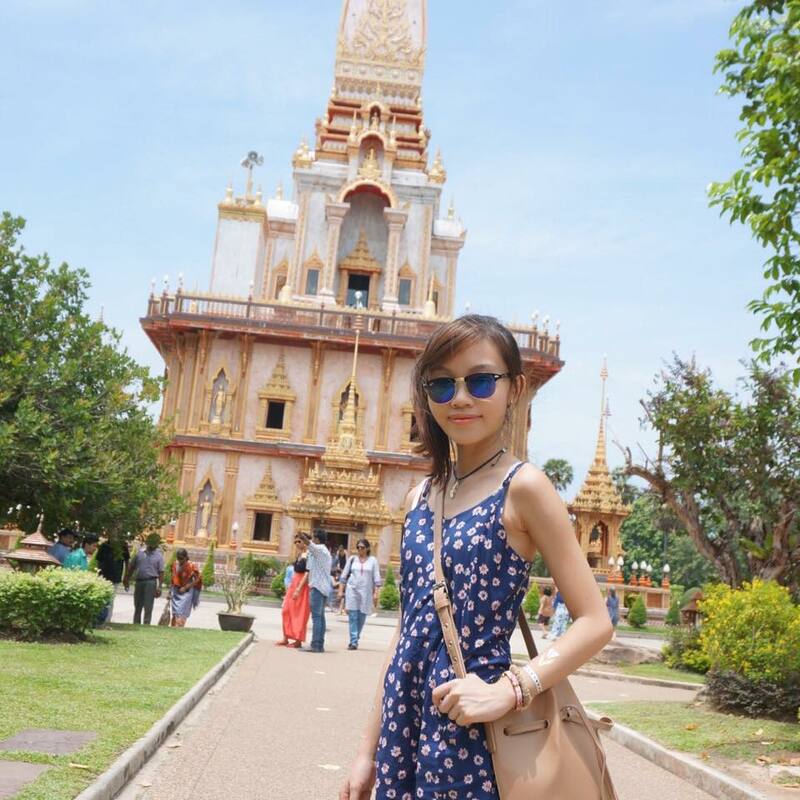 After all the spicy food, we seriously need a cold drink to cool down and cleanse the palate! Then came the fun part. 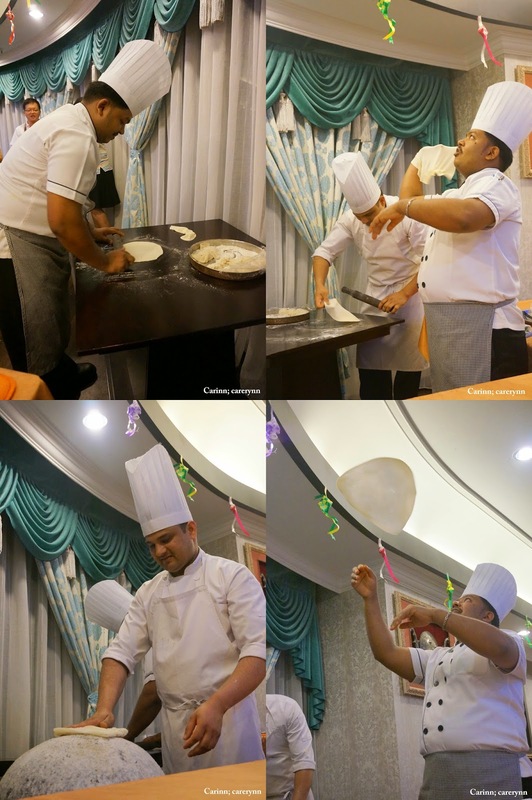 We were invited to watch the chefs "perform a stunt" in making Roti Romalli, one of Grand Gem's highly recommended dish! Even if you're too full to eat, I'm sure you'll enjoy watching the chefs toss and spin the flying dough to make the flat bread from scratch. 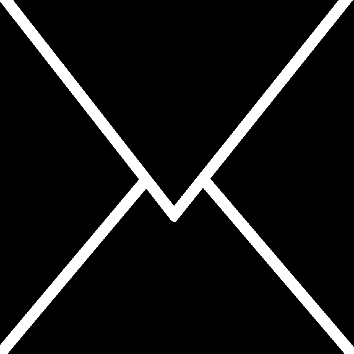 Here's a short video I took to demonstrate the chef's skillfulness. The dough was then cooked on the back of a wok laced with salt. Tadaa! It's cooked in about a minute. Ready to eat! The texture is quite springy and soft! There's also a hint of saltiness due to the salt on the wok. Oh I forgot these were vegan too! Initially I thought the sauce was made of meat, but it's actually made of potato and onion. Made fresh before our very own eyes! We were all full by this time so we took a small bite each and boy, did it surprise us! This burger is tangy and flavourful, like stew, and tasted even better on the sweet, fluffy buns. I honestly don't know what these little balls are until I referred to Tony's blog. Apparently they are deep fried milk balls, served with rose and cardamom-scented syrup. My only comment was that it's super soft and SWEET! According to Tony, this is a sweet semolina pudding flavoured with ghee and cardamom, sprinkled with raisins. This is a vegetarian dessert, according to LerLer. We joked that it resembled fish roe on sushi at first. To my surprise, I quite enjoyed this dessert because of its texture and non-overpowering sweetness. Ended the meal with masala tea. The not-so-sweet hot tea spiced with aromatic masala is perfect to counter the sweet dessert we just had. 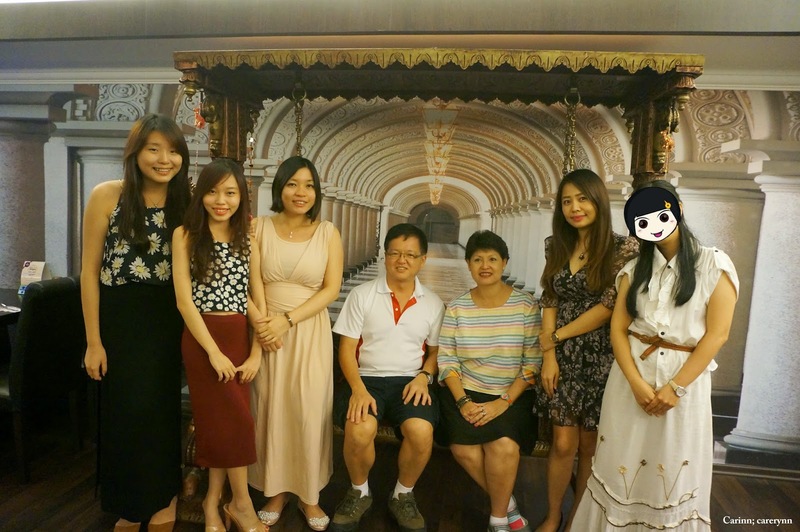 From left: Eunice, me, Kim, Tony, Peggy, Audrey, Ler. You can read their reviews on their blogs too! It was a truly memorable dining experience and a great night of fellowship with the bloggers. I learnt so much from them! 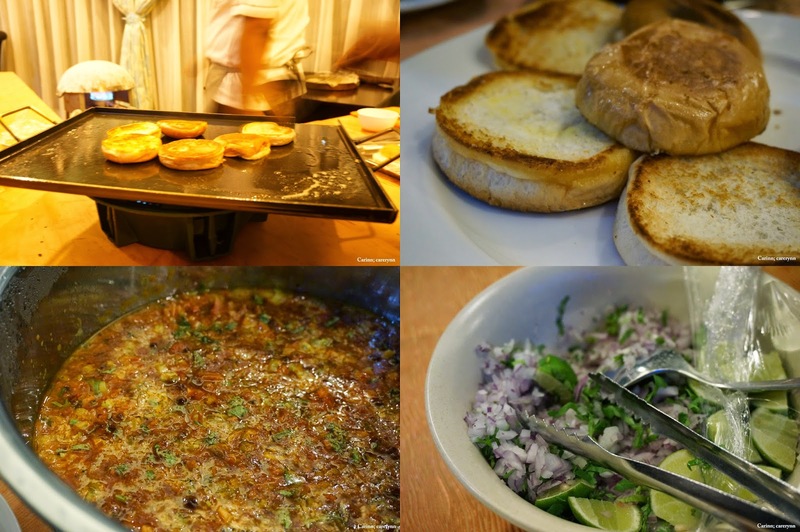 The three Muslim chefs prepare the food using HALAL certified ingredients. All food prepared are pork and lard free. However, The Grand Gem does serve alcohol for non-Muslim customers, hence it does not have a HALAL certificate. Please note that during this holy month, they will not be selling or serving any alcoholic beverages. For parking, remember to get your parking tickets validated when dining in the restaurant to be entitled to free parking. The menu price is RM70 Nett, and hotel guests & advanced reservation gets you 35% discount. From now till 3rd July 2014, corporate group bookings can get 35% + 5% discount if reservations are made before this date. So hurry and call now to book your slots! The Grand Gem is located at Grand BlueWave Hotel, Lobby Level. Disclaimer: Even though the review is sponsored, the review is based on my honest personal taste and preference after trying out the food and services.